I cannot keep silent any longer. Listen, restaurants. I really, really need you to recognize the city of Brussels. It’s the capital of Belgium. It’s got a capital B, because it’s a name. It ends with an “s”. It’s famous for, among other things, the humble Brussels sprout. Yes, the sprout and the city have the same name. Look, it’s not like this is the first time I’ve seen this mistake. I’ll forgive an error here or there from food bloggers. They’re just home cooks. They can’t be expected to do research into how things are spelled. But you, you’re professionals. Food is your career. You should at least spell food-related words correctly. Oh, Bryan. Your menu features far more complicated words, like sorghum, bolognese, bearnaise. You don’t capitalize anything else, so I’ll forgive you for the lowercase “b.” But just do me a favor: stick an “s” at the end of your brussel. And while I’m at it, let me pick the scab off another pet peeve. After a great dinner with the in-laws at Family Meal, we went to Kloby’s for carryout the next day. They made me wait half an hour, even though they told me the wait would only be 15 minutes, but it’s okay, I forgive them for that. 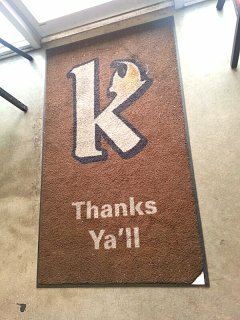 Their barbecue is totally worth the wait. I know it’s a minor nitpick. But I have to stand up for what’s right. You know what I love about fresh salad greens in the summer? It means you don’t have to turn on the oven on a 90-degree day, or even heat up a saucepan on the stove. Nope, you just rinse, chop, and eat. No heat required. We’ve been eating a lot of salad. 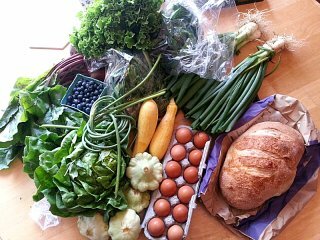 The summer CSA began last week and I’m already a week behind. My excuse: ice cream. More on that later. 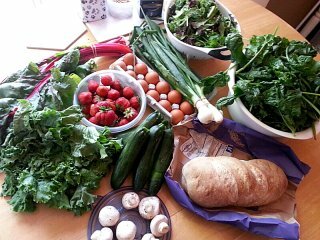 Week 1 pickup: chard, green leaf lettuce, strawberries, zucchini, white mushrooms, spring onions, mixed greens, spinach, eggs, and bread (Great Harvest sourdough). I did have to turn on the stove for the chard, spinach, and mushrooms. I sauteed the chard in butter (stems first, leaves after they’ve cooked a bit) with some spring onion, and served it as a side. I also wilted down the spinach and combined it with mushrooms to make vegetable-y, cheesy scrambled eggs for the kid. 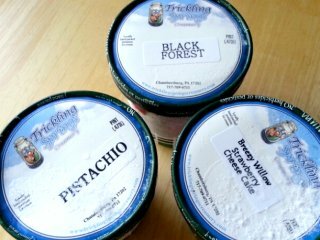 Since week 1 was the week of my birthday, and I was planning to throw a milkshake party, I also splurged on some pints of Trickling Springs Creamery ice cream (available right at the Breezy Willow pickup! It’s a dangerous place). Week 2 pickup: beets, Boston Bibb lettuce, green leaf lettuce, spinach (in bags), double spring onions (I swapped kohlrabi for more spring onions), blueberries, garlic scapes (yay! ), yellow and pattypan squash, eggs, and bread (parmesan sourdough). I made the mistake of giving the kid a blueberry and he promptly sat on the floor and demanded more, eating blueberry after blueberry with great enjoyment. I finally discreetly dumped the remaining blueberries into another container and showed him the empty carton. He was a little upset, but I managed to buy him off with a stick of cheese. Kid’s got good taste. I made a zucchini pie (suggested in Breezy Willow’s weekly recipe mailer) with some spring onions and last week’s zucchini. It was kind of underwhelming. 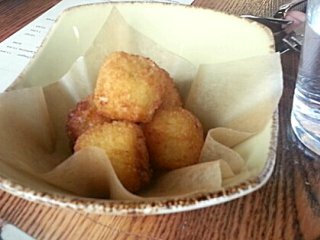 The base flavor was pretty good, but it was a little drier and tougher than I wanted, and also insufficiently cheesy. I’ll tweak the recipe and try it again; if it works out, I’ll let you know. 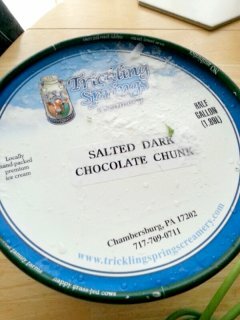 Oh, and I wasn’t going to get any more ice cream, but they were running a special on salted dark chocolate ice cream. Featuring local Salazon Chocolate, even. So I, uh, went home with an extra half gallon of ice cream. Salted dark chocolate. I have no willpower.